Just Thinking....: What a Pug-a-ful morning!! 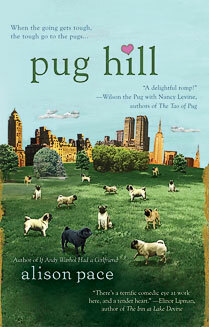 PUG HILL by author,Alison Pace,is an adorable book with lots of fun dialog and characters you'll enjoy reading about. This is definitely one to put on your summer reading list! I dare you not to smile while reading! 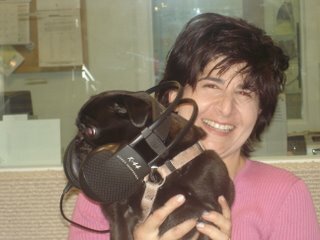 Here are some photos that were taken during the interview with Alison. 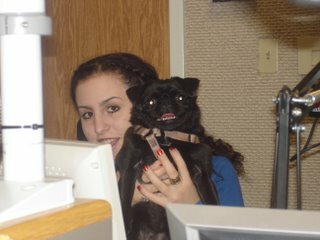 My daughter, Emily, is shown helping out in the studio keeping Miss Hazel happy while we were chatting. Faye Stolzman is Hazel's person and was a lot of fun to have as my co-host! Visit www.alisonpace.com for more info!